Leicester based musician, Alex Joseph, is releasing poignant charity single ‘Never Gone’ to commemorate the lasting legacy of UK #1 tennis champion Elena ‘Bally’ Baltacha, timed to coincide with Wimbledon 2017. Singer-songwriter Alex Joseph, 34, from Ashby-de-la-Zouch, knew Bally from his time playing on the junior tennis circuit, and remembers the late Olympic athlete fondly from that time. He has created a touching tribute song and plans to donate 50% of the proceeds of sales to the Elena Baltacha Foundation. The aspiring songwriter, who works for the Tennis Foundation in London, has been writing music for around ten years. He has already written songs to raise money for organisations such as the ITF Wheelchair Foundation, GB Wheelchair Basketball and GB Wheelchair Table Tennis, and when he saw a news bulletin last year about the Elena Baltacha Foundation, and recalled Bally’s heart-breaking death in 2014, he felt moved to write another track that reflected Bally’s spirit, her passion for helping others, and above all, her legacy. “When I heard Alex’s moving tribute to my late wife Elena, I knew that the Foundation and I just had to get behind it. The song reminds me of Bally’s kind nature and everything she meant to so many people. ‘Never Gone’ will be available to download from iTunes and all major music download outlets from Monday 3rd July. Alex will be donating 50% of all proceeds from the 79p single to the Elena Baltacha Foundation, which was established to harness the generous fundraising and outpouring of support from the world of professional tennis (and the public) after Bally’s tragic, untimely death. 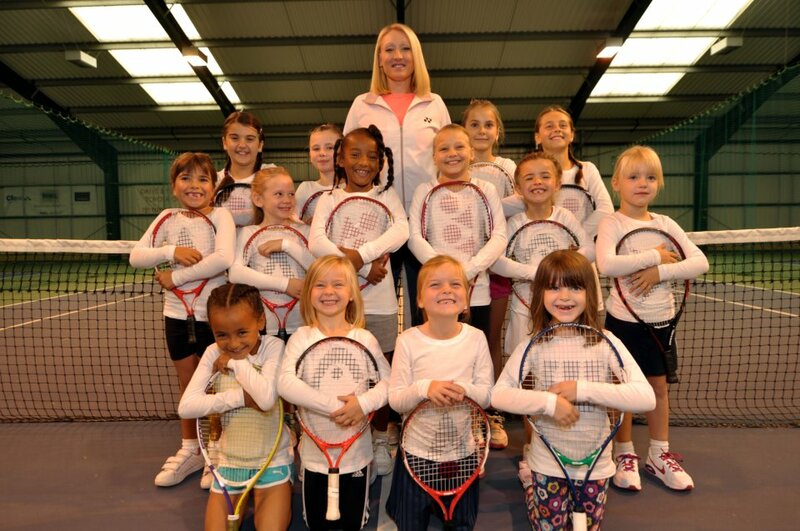 The Foundation carries on Bally’s ambitions to introduce more children to tennis, and enables the important work that Bally started with her original academy in Ipswich to continue and grow. Elena Baltacha was women's British Tennis No.1 intermittently between 2002 and 2012. She won eleven ITF singles titles and four ITF doubles titles, was also a runner-up in three ITF events in singles and four in doubles and won the Aegon Nottingham Challenge in 2011 and 12. Elena was also part of Team GB at the 2012 Olympics, representing Great Britain in both the women's singles and doubles competitions, where she partnered with Anne Keothavong. A WTA top 50 player, in her best year she achieved three top 10 wins at quarter final stages of premier WTA tournaments. She was diagnosed with liver cancer in January 2014, just a few weeks after marrying long term partner and tennis coach Nino Severino, and died 4th May 2014. The Elena Baltacha Foundation was created to help bring Tennis to children who might not have had access to sport otherwise; and following her death, the foundation ensures that her legacy is kept very much alive. Alexander Joseph is a singer-songwriter who has released a series of singles associated with various sporting and educational organisations and charities. ​He originally dreamed of becoming a professional tennis player. In addition to working as a sports coach he now combines his passion for music with managing the physical preparation of athletes on the GB wheelchair tennis programme. When not writing songs, he works full time for the Tennis Foundation in London. This press release was distributed by ResponseSource Press Release Wire on behalf of The Elena Baltacha Foundation in the following categories: Entertainment & Arts, Sport, for more information visit https://pressreleasewire.responsesource.com/about.